© Anjum Naveed/AP In this July 21, 2018 file photo, Pakistani politician Imran Khan addresses an election campaign rally in Islamabad, Pakistan. 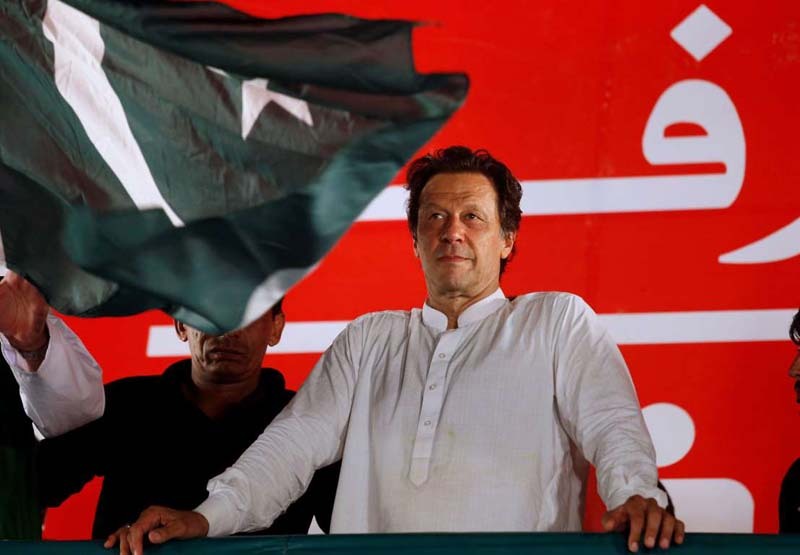 Pakistani Prime Minister Imran Khan said Monday that he has received a letter from President Trump asking for his government’s help and cooperation in advancing peace talks with the Afghan Taliban insurgents. Both the Foreign Ministry and Information Minister Fawad Chaudhry confirmed that the letter has been received. Chaudhry said the U.S. president told Khan that relations with Pakistan were “very important” to solving the Afghan conflict, especially in helping to bring the insurgents to the negotiating table. The reported request from Trump came as his special envoy for Afghan peace, Zalmay Khalilzad, was expected to arrive in Pakistan on Tuesday for further talks on the issue. His previous visits have been received cordially but have not resulted in any concrete agreements. The Trump administration is eager for the peace talks to move forward and the conflict to end after 17 years. Khalilzad has met with Taliban leaders and a variety of regional officials over the past several months, but there has been no breakthrough. The insurgents continue to insist that foreign forces must leave the country under any deal and that they will negotiate only with U.S. officials.